There are three primary ways that one can learn leadership (See Leaders Must Be Learners): direct personal experience, through the wise counsel of others, and through the study of leadership materials. Let’s focus on the second point: through the wise counsel of others. We have so much to gain from the experience of others, from those that have gone before us. We can learn what they have learned. We can learn from their mistakes. And often one can learn these things more quickly than through one’s own direct experience. Rub Off factor – Spending time around great people, around great leaders, impacts your own leadership ability. It rubs off. That’s why the best athletes train with other athletes who are better than they are. That ‘better than’ quality rubs off and almost unconsciously pushes you beyond your natural boundaries. 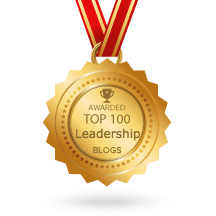 Want to be a better leader? Surround yourself with great leaders. – What are some of the most valuable principles that have guided your leadership? – What character traits do you think are most important to develop as a leader? Why? – What was one of the biggest leadership challenges you faced? What did you learn? How did it change you? Ask great questions. Go ahead – get curious. You can approach leaders from all walks of life to download their leadership wisdom. Wise counsel can also come from a personal “Advisory Board”. Boards can have many purposes but at the heart of it is the idea of having a group of people with various abilities and perspectives, who care for a common mission, and who can offer collective insight greater than that of a single person. The concept of a personal advisory board involves identifying some people who are available to a leader with whom the leader can bounce ideas off. Such a board might include trusted friends, family, a spouse, a spiritual director – people who love you, who know you, and who have your best interests in mind. It’s not a formal group per se that meets quarterly to examine your financial statements, but rather, a list of people with whom you can be completely transparent and who don’t have any agenda other than your well-being. They might offer you encouragement in one situation, and a gentle reprimand in another. But their motives are sincere and you value and trust their insights. A personal advisory board can help a leader to cultivate virtue and ensure that they are being honest and consistent in their efforts to lead. All leaders have blind spots – areas of weakness or vice – that are not readily apparent to them. A personal advisory board can help protect a leader from minor slip-ups and catastrophic mistakes alike, by offering wise counsel and perspective. Cultivating wisdom is an important task for any leader. The ancients knew this and summarized this principle well in the Book of Proverbs: “Walk with wise men and you will become wise.” Pv 13:20; “As iron sharpens iron, so man sharpens his fellow man.” Pv 27:17; “Listen to counsel and receive instruction, that you may become wise.” Pv 19:20. Leaders become wise when they intentionally seek to learn from others. So use the wealth of human resources around you. Invest in wise counsel. And become a better leader.